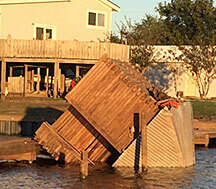 Notice: The list and map of hurricane hazards on the river will be sent to the Texas General Land Office on Mon Oct 30. Hopefully everyone who send in a location will hear from them either by email or phone. 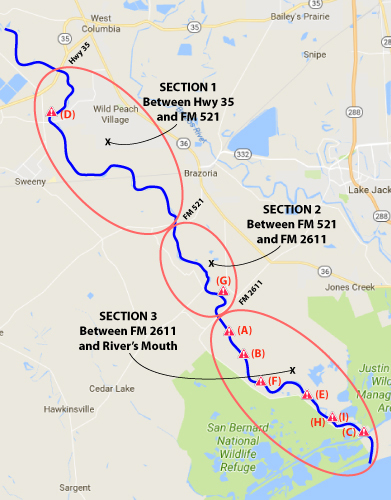 The Texas General Land Office (GLO) has requested that any navigation and safety hazards left behind in the river only (not located on land) from hurricane flooding be reported to them. 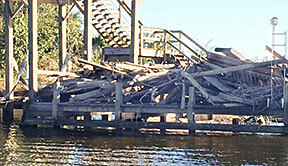 This could be submerged trees, partial pieces of boat docks, etc. anything that represents a boating hazard in the San Bernard River. As a service to all San Bernard River residents who know the river well and come upon a hazard, please fill out the information below and email to webmaster@sanbernardriver.com. FOR San Bernard is compiling a list of all known hazards and will supply the complete list to GLO around the end of October. Mark the hazard if possible.